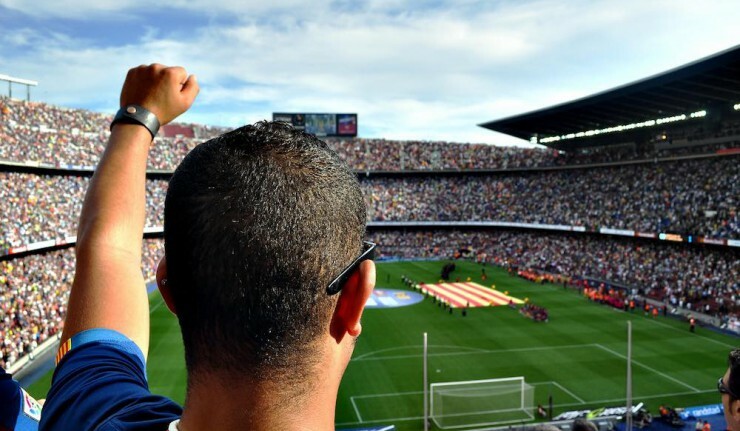 CAMP NOU Barcelona Football stadium info and tickets. 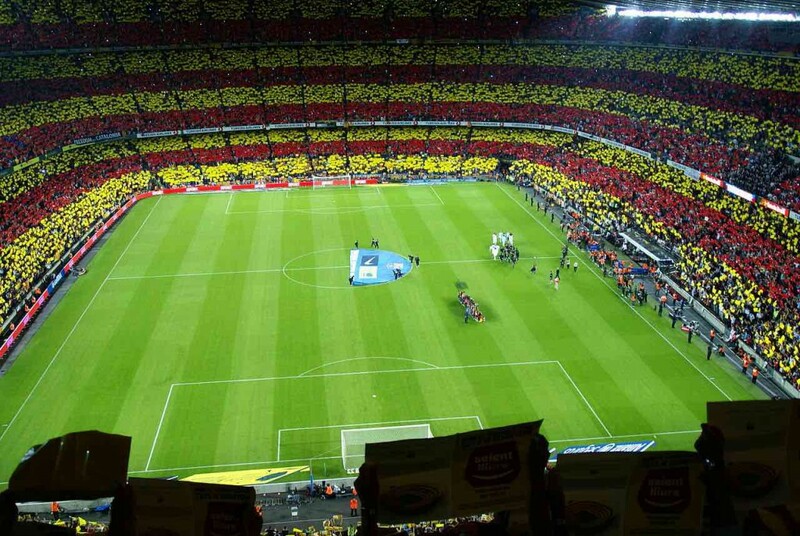 Camp Nou, a football stadium in Barcelona build in 1957 and has a capacity of 99 050 places. 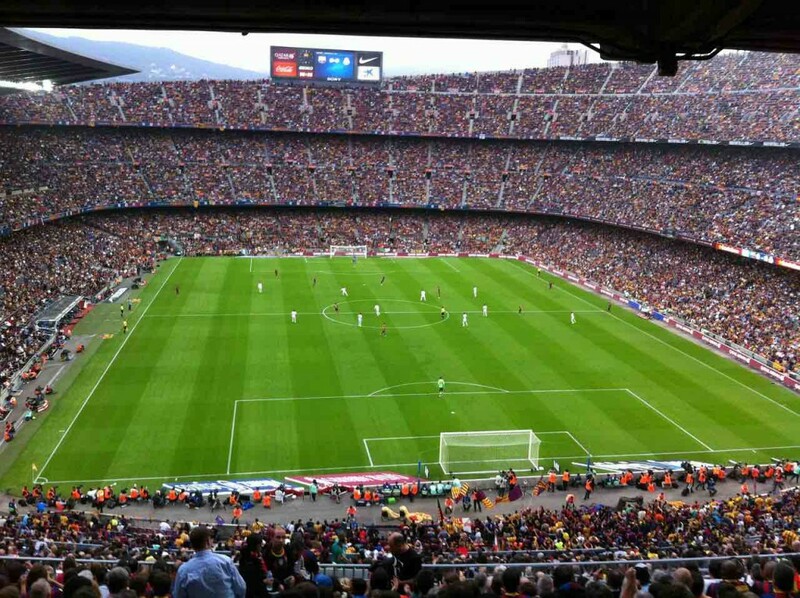 Camp Nou is the stadium where the soccer players of FC Barcelona compete in matches and draw in crowds of typically 120,000 spectators at each one. The official name of the stadium since the opening in 1957 untill 2000 was Nou Estadi del Futbol Club Barcelona. 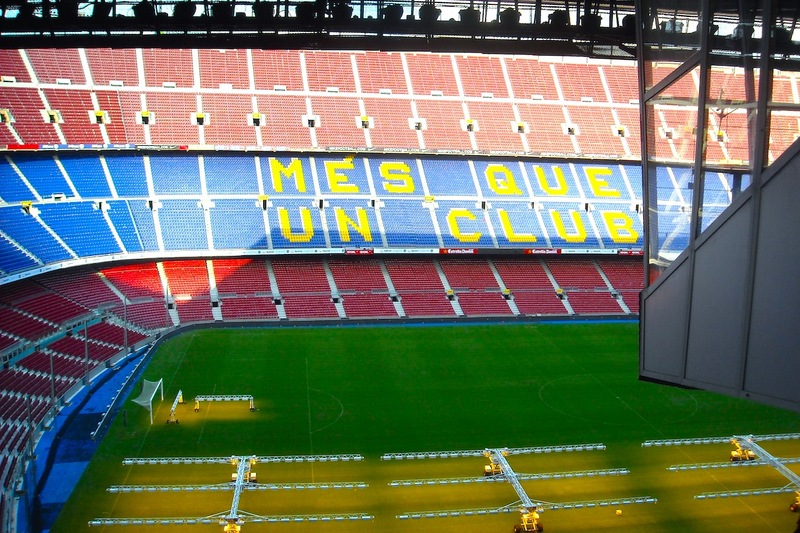 The name Camp Nou, Catalan for “new field”, was already used as a nickname and it was adopted in 2000 after a vote among the socios (club members) as official name.